Showcasing the best possible imagery at the optimum quality has always been an issue for photographers. Sending hi-res optimised images without quality loss is also another. I have found an application that covers both these needs and more - JPEG Mini Pro. It's so damn good that I run all my website images through it, my hi-res agency submissions and indeed anything that needs optimising. I started my investigations without a tutorial, which I personally believe is the best way of understanding whether software is instinctive to use and well programmed. 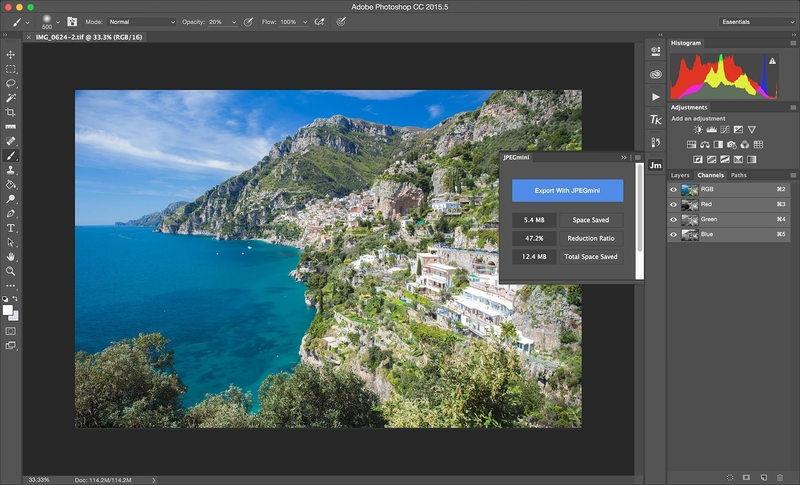 JPEG Mini Pro is literally drag and drop - there is nothing else to do - drag, drop, done. The original can be optimised and then resaved over itself, but the beauty of the programming is that there is no degradation or loss of quality. There are a few other options - images can be resaved as a different copy and resized if necessary. It's a great way of making consistent optimised images, the same length or height, without laborious Photoshop work. Optimising a jpeg may vary in how much it saves you, but a saving is always made. I dragged a hi-res Jpeg from a Canon 6D onto the interface and it saved a whopping 2.4mb off the original. You cannot drag the picture onto it again, to wring a few more bytes out of it as it recognises it's already been optimised. So you drag another onto the pictorial interface, look around the room, back at the software and realise there's nothing else to do. It's simple, effective and good looking. There is a Photoshop and Lightroom plugin in the Pro version to help further with optimising jobs. I have found both of these to be extremely useful when preparing images straight from Lightroom to client in particular, as it installs itself into the Export panel and can become part of any routine or preset. The Photoshop plugin is just as effective. I resize my hi-res images to fit my website using Image Size and then I export them to my desktop using the JpegMini Pro extension. It's simply a panel with a few buttons that opens as an extension, nothing more. 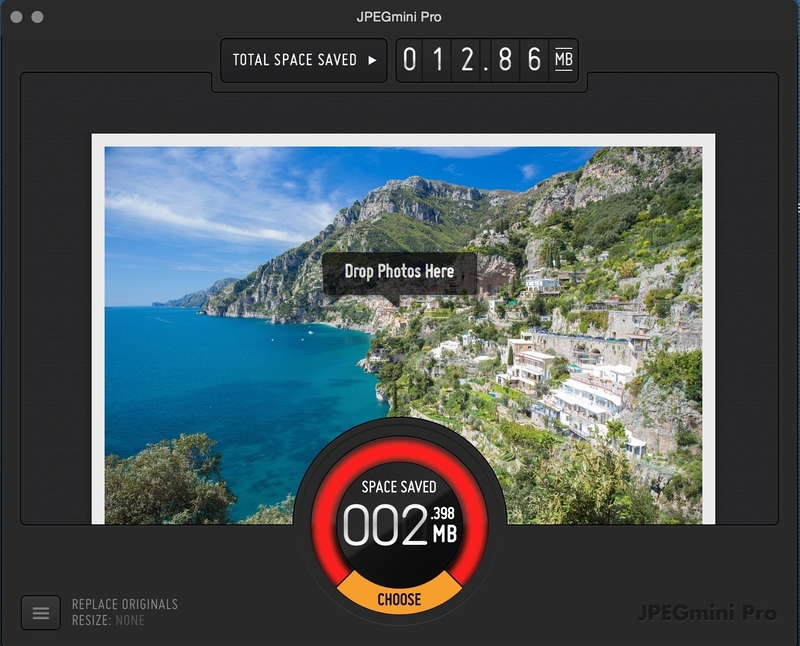 JPEGMini and MiniPro should be used by all imagers, whether amateur or professional alike. Optimise individual images, drag entire folders onto it, even your entire website! All productivity tools are not the same. With a 'less is more' approach, the software is well programmed and integrates silently into literally everything I use. Mitch Schneider and the rest of the team behind the software have done a great job. An essential tool in my workflow, I cannot recommend it enough.